*I love historical fiction and I bought this one for my classroom library. I think my students will enjoy it as well. Goodreads says, "The Red Umbrella is the moving tale of a 14-year-old girl's journey from Cuba to America as part of Operation Pedro Pan—an organized exodus of more than 14,000 unaccompanied children, whose parents sent them away to escape Fidel Castro's revolution. In 1961, two years after the Communist revolution, Lucía Álvarez still leads a carefree life, dreaming of parties and her first crush. But when the soldiers come to her sleepy Cuban town, everything begins to change. Freedoms are stripped away. Neighbors disappear. Her friends feel like strangers. And her family is being watched. As the revolution's impact becomes more oppressive, Lucía's parents make the heart-wrenching decision to send her and her little brother to the United States—on their own. Suddenly plunked down in Nebraska with well-meaning strangers, Lucía struggles to adapt to a new country, a new language, a new way of life. But what of her old life? Will she ever see her home or her parents again? And if she does, will she still be the same girl? 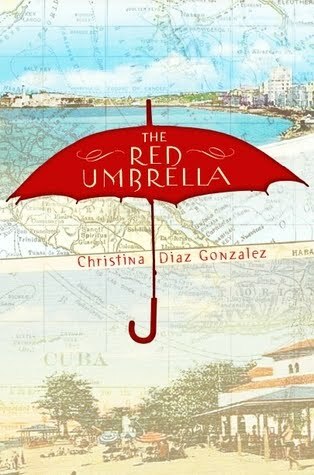 The Red Umbrella is a moving story of country, culture, family, and the true meaning of home." *I've had this one pre-ordered for ages. I plan on reading it ASAP! Goodreads says, "His love captivated her... his secrets might kill her. Since her sister’s mysterious death, Persephone “Phe” Archer has been plagued by a series of disturbing dreams. Determined to find out what happened to her sister, Phe enrolls at Devenish Prep in Shadow Hills, Massachusetts—the subject of her sister’s final diary entry. After stepping on campus, Phe immediately realizes that there’s something different about this place—an unexplained epidemic that decimated the town in the 1700s, an ancient and creepy cemetery, and gorgeous boy Zach—and somehow she’s connected to it all. But the more questions she asks and the deeper she digs, the more entangled Phe becomes in the haunting past of Shadow Hills. Finding what links her to this town…might cost her her life." *Kate sent me this ARC in exchange for a review. I plan on reading this one in August. The premise sounds great! A big thank you to Kate for sending me Minder! Goodreads says, "Sixteen-year-old Maddie Dunn is special, but she needs to figure out how to use her new abilities before somebody else gets hurt. Ganzfield is a secret training facility full of people like her, but it's not exactly a nurturing place. Every social interaction carries the threat of mind-control. A stray thought can burn a building to the ground. And people's nightmares don't always stay in their own heads. But it's still better than New Jersey--especially once she meets the man of her dreams." *I have had this one pre-ordered for awhile now and I am looking forward to reading it. I know my students will definitely want to borrow this book once school starts again! Goodreads says, "In Maggie Stiefvater's Shiver, Grace and Sam found each other. Now, in Linger, they must fight to be together. For Grace, this means defying her parents and keeping a very dangerous secret about her own well-being. For Sam, this means grappling with his werewolf past...and figuring out a way to survive into the future. Add into the mix a new wolf named Cole, whose own past has the potential to destroy the whole pack. And Isabel, who already lost her brother to the wolves...and is nonetheless drawn to Cole. At turns harrowing and euphoric, Linger is a spellbinding love story that explores both sides of love--the light and the dark, the warm and the cold--in a way you will never forget." What did you guys get in your mailbox? Have you read any of these books? Let me know what you think. I look forward to checking out everyone's mailboxes. Have a great day! This meme is hosted by The Story Siren. The Red Umbrella ROCKS my socks. I just love it! Great books this week! I really liked Shadow Hills. I look forward to reading Linger. I hope you enjoy all of your books! I got Shadow Hills and Linger too. I'm reading Linger right now. My mailboxes are here and here. Happy reading! Ooh, you have Linger! I hope you enjoy it. I think it is out next week hear. Enjoy! Thanks for checking out my mailbox, everyone! I hope you have a having a great weekend. Ooh, great books. The Red Umbrella sound like such a sweet and touching story. I really need to get Linger and Shadow Hills. Minder sounds really good too. I'll be looking forward to your reviews on these. I just read Linger and loved it, it was way better than Shiver, IMO. Hope you have a great week! 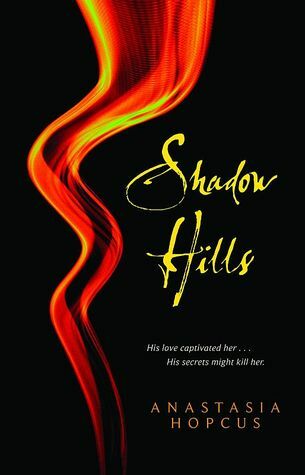 i've been hearing a lot about shadow hills! enjoy! I've read so many reviews of Shadow Hills but I can't wait to read your take on it. We both got Linger this week! *high five* Can't wait to immerse myself in Grace and Sam's story again. Enjoy all your books!